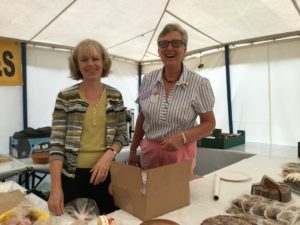 After a hectic run up to the show it was great to see so many members, friends and visitors taking time to enjoy the attractions. 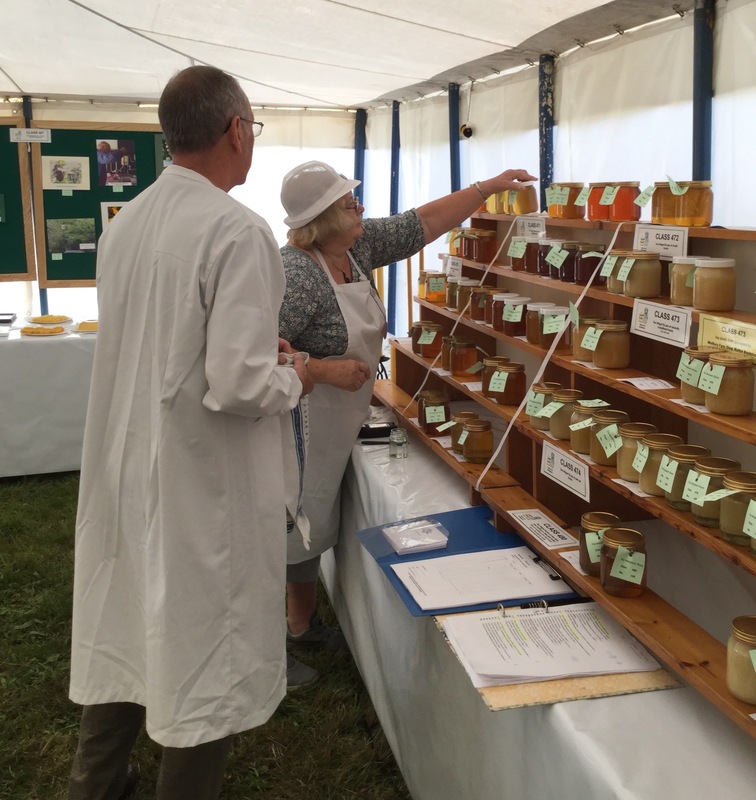 The Melplash Show is a terrific showcase for our Association and provides a great opportunity to share information with the general public … as well as sign up students for the next Beginners Course, starting in Jan 2017. 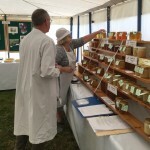 An excellent variety of local honey and wax products were available for sale. Thank you to everyone who made a wonderful range of cakes … a sell out! We had 180 entries into the show classes from 35 people. 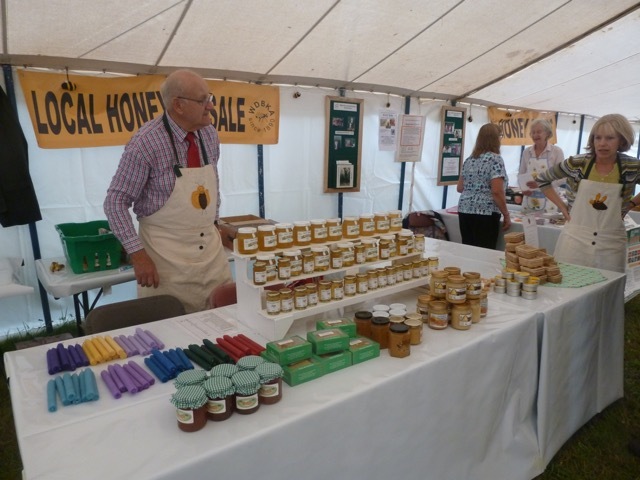 Thank you to those who made the effort … there would be no show without you! 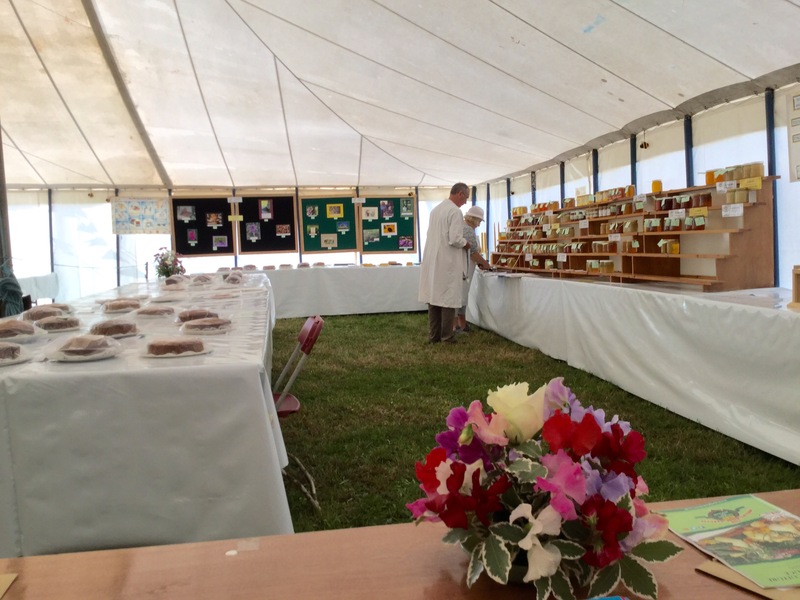 All set for the judging to start. 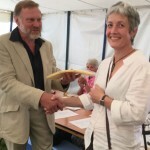 Judge, Hazel Blackburn and Steward, Chris Thompson begin their marathon task. 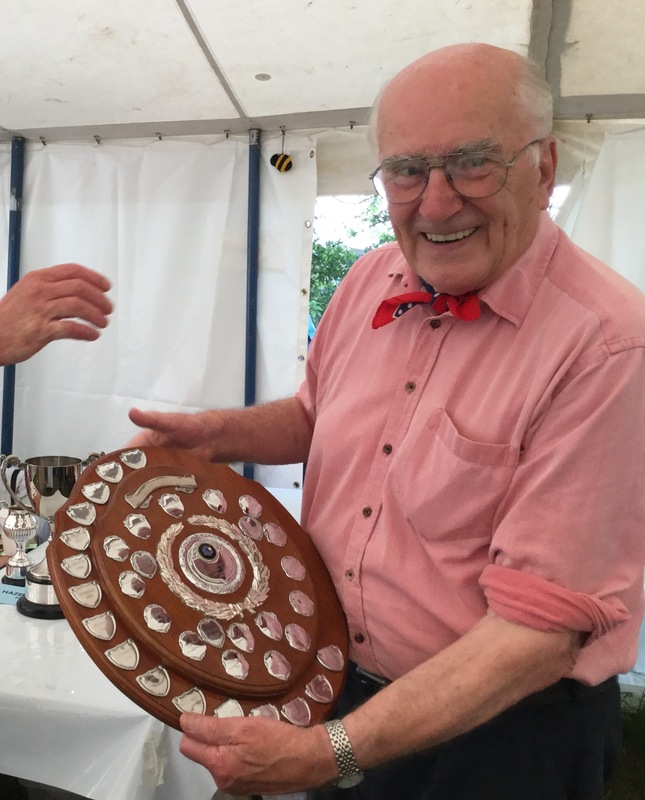 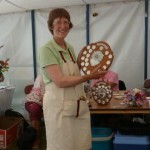 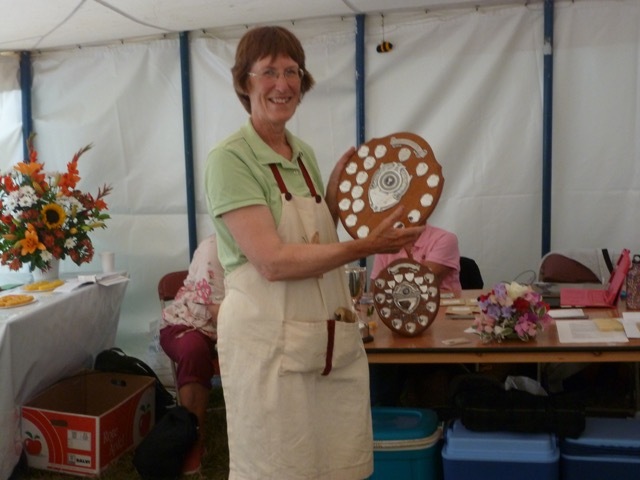 WDBKA wins the Branch Shield … presented to our Chairman, Sarah More. 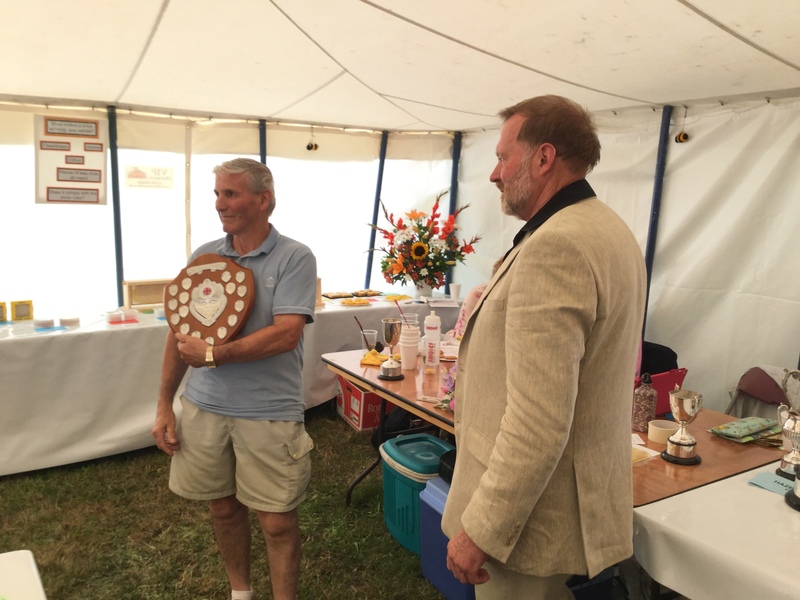 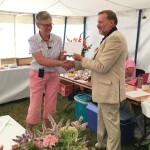 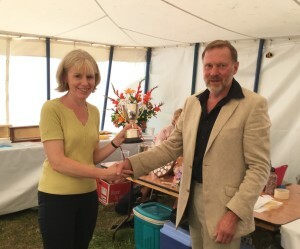 Congratulations for ‘Best in Show’ awarded to Carole Astbury by DBKA Chairman, Richard Norman. 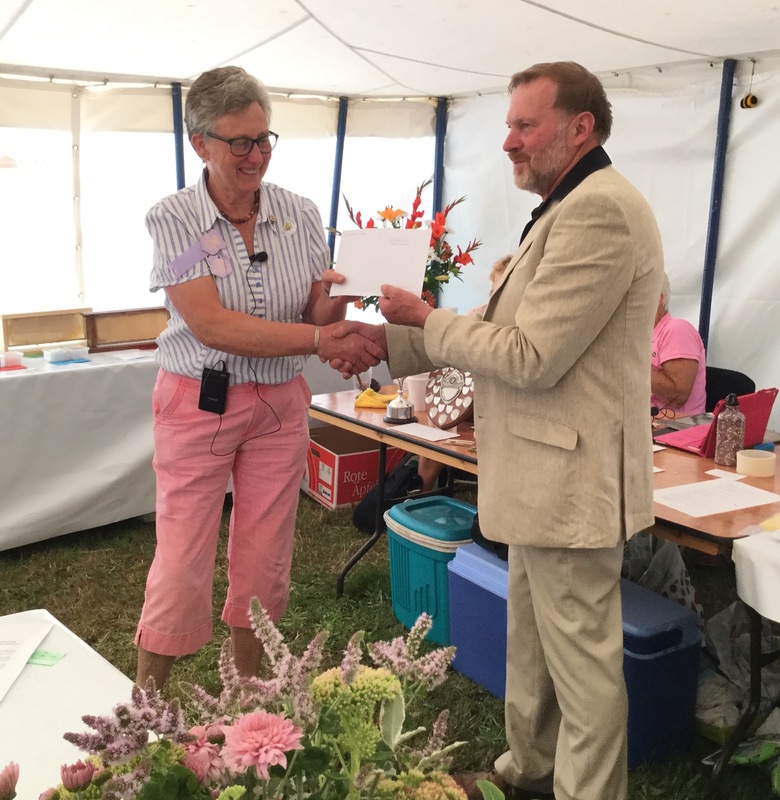 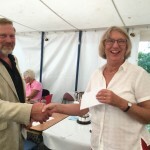 Carole Brown collects First Prize for her bee photograph … and also awards Richard Norman, DBKA president with the FW Carter Challenge Cup! 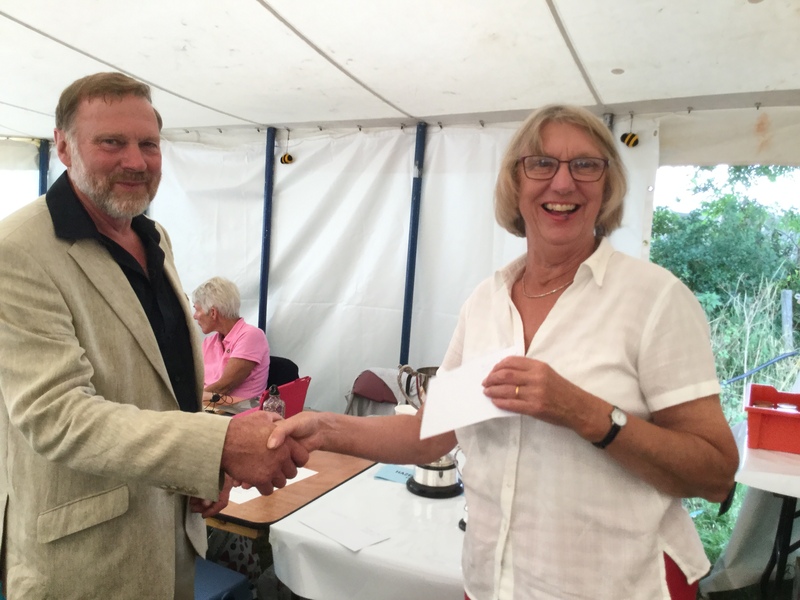 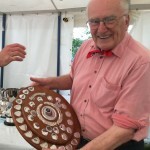 Well done to Dennis Clemens from D&WBKA for winning the Dorset Challenge Cup. 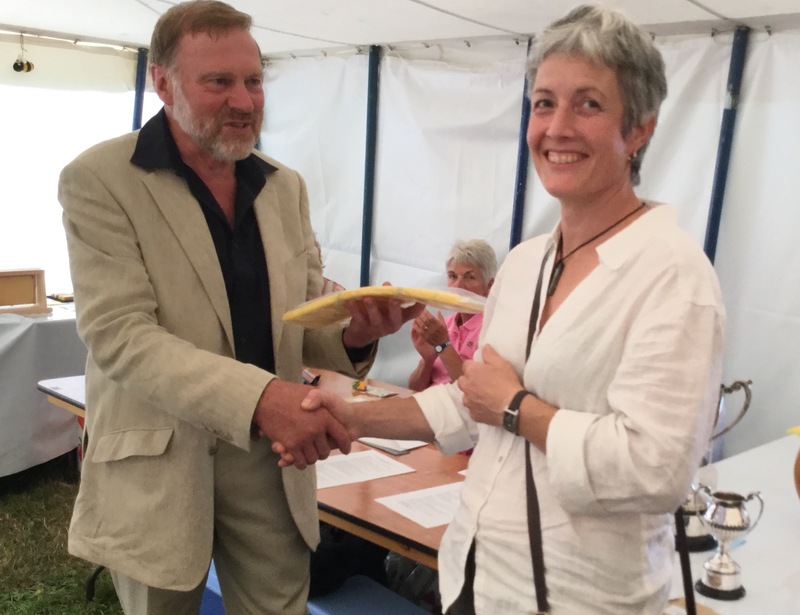 Congratulations to Vicky Gaston for her excellent frame ready for extraction! Congratulations to Mr Wood for winning the MC Bond Shield.